Welcome to The Meadows Special School. We believe our School is a forward thinking, enterprising and exciting place to learn and work. We provide education for young people from the age of 11 to 19. We are a generic Special School meaning we provide education for young people with a range of needs. The School has particular expertise in working with pupils who have profound and multiple learning difficulties, severe learning difficulties including those with communication problems, Autistic Spectrum Disorder and complex needs, and those with moderate learning difficulties. We are co-located with a mainstream High School, which provides many benefits in terms of the facilities at our disposal and the opportunities for young people with special educational needs to develop alongside their peers. 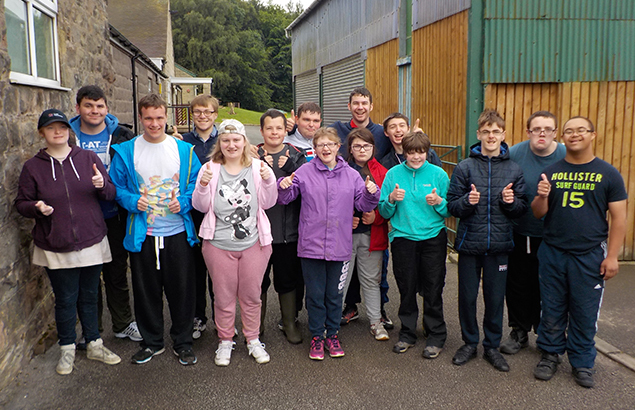 We recognise that our role is to support young people with special educational needs across Staffordshire, which is why we are a member of the Staffordshire Special Schools Company and the Leek Educational Partnership.